Royal Caribbean have announced that there will be a Diamond celebration held in December this year for its most loyal customers. Diamond and Diamond Plus guests who are sailing with Royal Caribbean will be given special recognition for their loyalty, receiving extra benefit, gifts, invites to exclusive events and other new enhancements from the Crown and Anchor Society. Royal Caribbean are well known for recognising their guests loyalty to the cruise line, and this certainly isn’t the first event of it’s kind which has been held. There will be nightly Diamond events held onboard all of Royal Caribbean’s 22 ships, where Diamond and Diamond plus status guests will have the opportunity to socialise with senior officers on the ships, and other members of staff. Royal Caribbean are keeping their cards close to their chests when it comes to many aspects of this celebratory month, saying that their guests can expect many surprises and gifts for their loyalty. 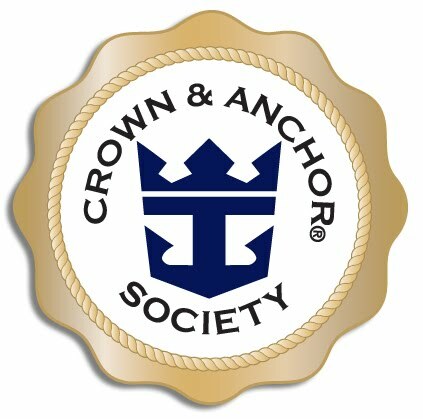 The Crown and Anchor Society is the Royal Caribbean’s loyalty scheme, and the level at which you stand in the society indicates how many times you have cruised with the cruise line. Each time members of the society go on a Royal Caribbean cruise, they receive a credit to add to their tally. During the December event, platinum and platinum plus members will be given an additional credit to celebrate. Royal Caribbean is one of the worlds most popular cruise lines, with new ships being added to the fleet on a regular basis, they continue to grow and for many cruise lovers, they are the cruise line to beat when it comes to 6 star service.